Twenty years ago it was difficult to imagine the trailblazing medical technologies that are now part of our everyday lives. As we enter 2018, “telehealth,” is helping to vastly improve the overall picture of healthcare, minimize patient wait times, and ultimately reduce costs while doing so. Today, patient portals allow people to manage appointment scheduling online, and to maintain their medical records and other vital information. Doctors and nurses interact with patients and their families in a whole new way, and use a variety of cutting-edge procedures, apps and mobile technologies that enhance the level of care their patients receive. Beyond the remote communication between doctors and patients that technology has provided, the use of mobile devices by healthcare professionals continues to transform many aspects of clinical practices and face-to-face interactions as well. Thanks to improved communication and connectivity between all of these touchpoints, more new apps and tools are being developed every day. Here are some of the ways technology will continue to make major inroads into healthcare in 2018. Some 31 percent of cell phone owners say they have used their phones to access healthcare information. That’s up 14 percent from just two years ago. The advancement of medical apps and systems not only empowers patients to be more involved in their care, it also makes them more knowledgeable. According to The Wall Street Journal, patients forget 80 percent of the information doctors tell them by the time they reach the parking lot — and much of the information they do recall is incorrect. According to studies, patients who use apps and patient portals actually retain more information, more accurately. These apps allow patients to access information after an appointment or hospital stay has ended, giving them a clear record of the care they’ve discussed. They can also access these tools to help better manage their own follow-up care, nutrition plans, or necessary medicines. By taking control of their own healthcare in this manner, hospitals are also able to significantly reduce the amount of patient readmissions. According to statistics, nearly 20 percent of patients come back to their provider within 30 days. Apps that offer patients continuity of care by allowing them to do things such as log daily activities have led to a 40-percent decrease in patient readmissions. Mobile computing devices and smartphones have touched every field in one way or another, and medicine is no exception. For healthcare professionals, smartphone or tablet computers now enable them to perform functions and stay connected in real time. Eighty-four percent of doctors now use a smartphone in their practice, and 51 percent use both a smartphone and a tablet device. Smartphones and tablets combine computing and communication into a single device, eliminating the need for older technologies such as pagers. 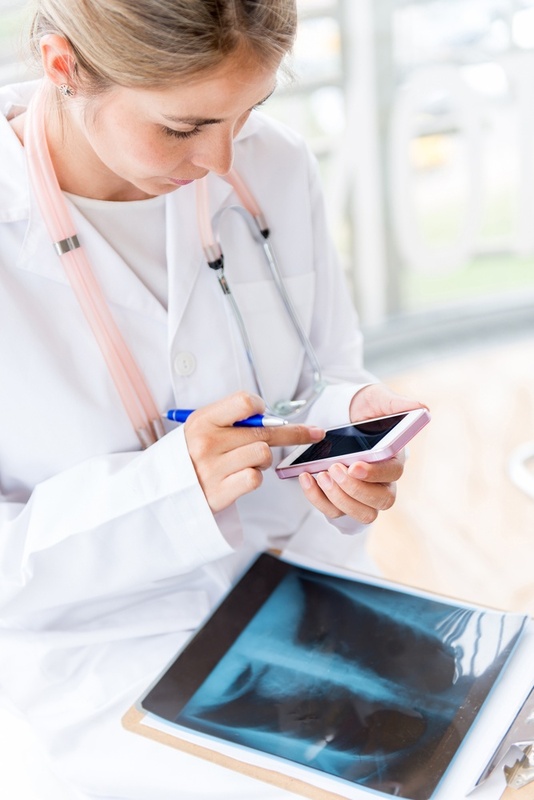 Mobile devices offer healthcare professionals many benefits including Internet connectivity, GPS, high-quality cameras, and sound recorders for taking down important information. There are 3.7 million medical devices in use today, connecting to and monitoring different parts of the body. All of these devices rely on a connected infrastructure of medical devices and software applications communicating with various healthcare IT systems. Just like the Internet of Things we’re hearing so much about these days, this “Internet of Medical Things,” or Healthcare IoT, is helping to advance the healthcare industry at a rapid pace. As an example, consider something as seemingly simple as a fitness tracker. These devices track a person’s information, which can, in turn is calculated to their smartphone. That data can then be shared with a physician. Although most people are currently sharing this type of information primarily with friends or family members, there are certainly benefits of using these types of apps throughout the entire healthcare industry. They can certainly offer doctors a more accurate and objective picture of a patient’s health than simply having the patient fill out forms or answer questions based on their own subjective accounts of how they’re feeling. Mobile-based technology and connectivity across healthcare locations is also streamlining the process for managing patients’ medical records. Most notably, hospitals and doctors can now securely share information in real time. This allows more accuracy when patients are treated at various locations, without the need to resubmit the same information time and time again. Healthcare professionals are therefore better able to track procedures and therapies, prescription records and other vital details that allow them to treat patients in the safest and most convenient manner. Records and information can be constantly updated, and by automating and streamlining these operations across locations, the risk of errors and fraud is significantly decreased. It’s safe to say that virtual reality is now, well — a reality. And this technology will continue to carve out its place in healthcare in 2018 and beyond. Virtual and augmented, or “mixed,” reality is being tested for use during a number of surgical procedures. With the help of high-tech AR goggles, a surgeon could achieve greater precision by using a mix of existing imaging reports in combination with the real procedure by layering an MRI over over bone or muscle, for example. Surgeons could also use a mobile device as a tool to simulate procedures and practice more complicated or uncommon procedures. Click the link to download our Hospital Case Study. There’s no question that healthcare is one of the industries that’s been most profoundly affected by the use of mobile and other technologies and devices. However, without the proper infrastructures none of these techs can be supported. And without proper, secure cellular connections in hospitals, doctors offices and other healthcare facilities, professionals and patients cannot reap the benefits of these tools. Even in the age of advancing technology, it can still be challenging for hospitals, clinics, and private practices to transition to secure digital databases and online patient communication systems. With countless people accessing databases and apps, or transferring large files, cellular network can become overloaded. Furthermore, it can be difficult to maintain strong cell signal across these often large spaces. 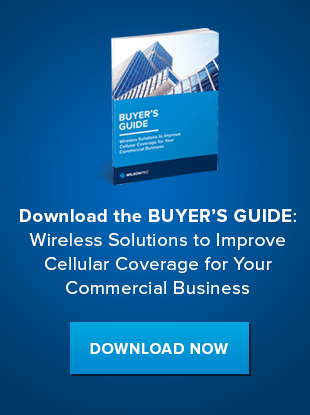 Cellular signal boosters can amplify reception across large spaces, enabling reliable connections to support all of the technologies being used. If your healthcare facility is struggling with poor cellular connectivity, WilsonPro can help. Our passive distributed antenna systems enable facilities to improve cell signal across facilities, or in specific areas. Passive DAS offers a cost-effective alternative to traditional cellular boosting solutions on the market. Contact us today for more information.